Welcome to Gaucher's Chat Exchange (also known as Gaucher's Chat), the Gaucher's Disease support social network for people with Gaucher's Disease and their immediate families. People of all ages may join. Here you can find one on one support from people just like you. We offer a sanctuary where you can feel comfortable to communicate openly about having Gaucher's Disease, get answers to your questions, and meet people like yourself. We welcome you with open arms. We offer links to main support sites where you can get assistance with insurance or financial needs, join the Gaucher registry, find information about Gaucher's Disease treatment options, and much more. We also welcome your feedback and knowledge. If you have information you would like to see added to our support network, just contact us. Membership is free so apply for an account today! 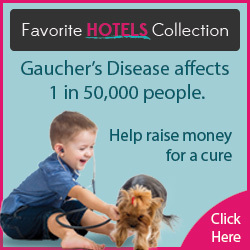 To join or visit the Gaucher Exchange community, click Gaucher Community. If you are having trouble registering or logging in to the site, please contact us.